Trackside connoisseurs know that millinery can make or break your racing-day look. Turn heads this Autumn Racing Season with our curated fascinator collection: from highly sophisticated to a sprinkle of playfulness – there is a piece for all race-goers. Autumn millinery should be elegant and minimalist, leaving pops of colours and floral pieces in the wardrobe for Spring. 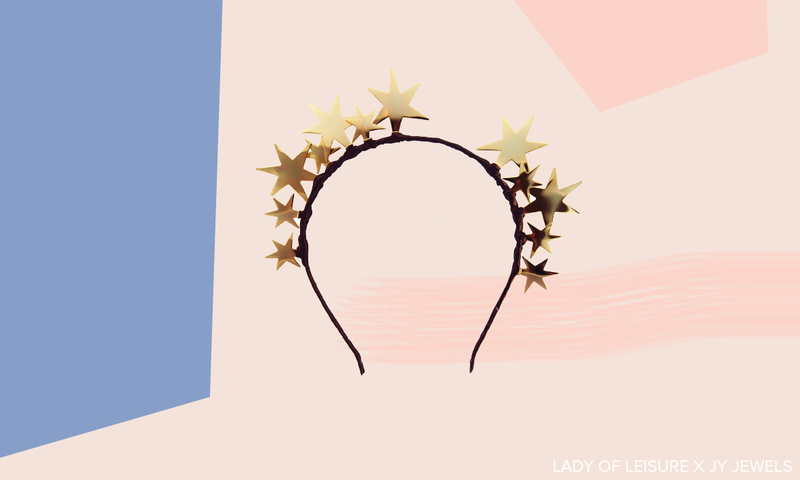 A playful array of brilliant stars dipped in pure 22k gold and set on a cognac hand wrapped satin headband. 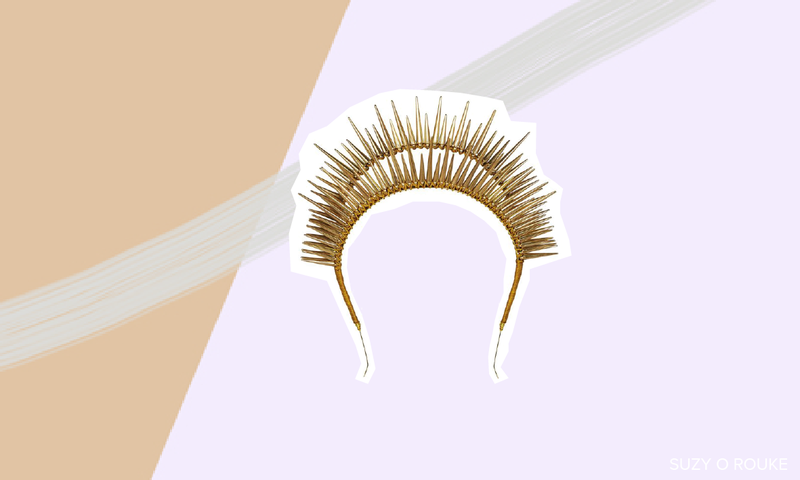 The slender headband ensures the piece is light-weight and gives a floating appearance. If you’re still not convinced, the piece has a cult following of the likes: Carmen Hamilton, Jen Hawkins and Elyse Knowles. The design is versatile, and can be paired with almost any dress. For those who are indecisive, we love the Comet millinery with the Thurley Foxtrot Dress. This headpiece is minimalistic so works best with a sleek hairstyle to make sure it really stands out. We recommend a simple straight hairstyle or a refined pony. Perfect for the modern fashion forward woman. Complete your Autumn Racing Day look with a dash of sparkle. This understated headpiece is extremely versatile and compliments any outfit. Keeping it within the Autumn colour palette, we recommend the Thurley Blues Festival Dress. Similarly to the Comet Crown the Etre Crown works best with sleek hair and works well with both brunette and brown locks. Turn heads trackside in this stunning ‘crown style’ headband which features two fine rows of gold spikes, bound with gold, and crafted by hand. Echoing the edginess of Autumn racing season, this headpiece is cool-girl approved and can transform a feminine look. We love this fascinator with the Nicholas Botanical Lace Dress. Natalie Bikicki's signature roses are back bigger and better this year. This cluster of six red and fuschia pink roses will add the perfect finishing touch to your race day outfit. The rich hues keep this Autumn-appropriate and adds a fun pop of colour. Pair this headpiece with a striking black midi dress like the luxe velvety 'Walker Midi Dress' by Rebecca Vallance for the ultimate Race Dau outfit. Crafted out of a luxe patent material the Jen Crown by Natalie Bikicki was created for Jen Hawkins for a Race Day (which is where the name came from). The three unique origami-like shapes are set a top a thin sleek headband so it is super lightweight and comfy to wear.